Yesterday was one of those days in baseball that just makes you wonder how a game that’s over 150 years old can continue to surprise? I mean just about everything has happened in baseball, but yesterday contained not only the 21st perfect game in baseball history, but also a 9 run comeback after the 5th inning. April 21, 2012 was a day that truly showcased everything that is great about baseball. 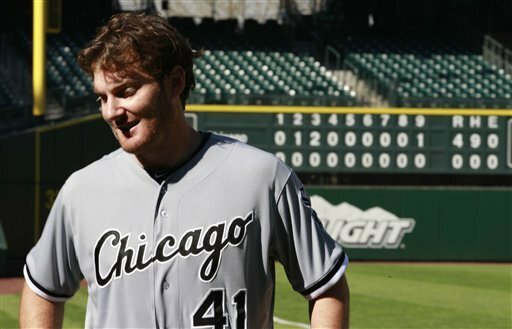 Phillip Humber began his game yesterday as a successful reclamation project and solid middle of the rotation starter for the Chicago White Sox. After being drafted by the Mets 4th overall in 2004 and made his major league debut in 2006 but struggled to find success, bouncing around to Minnesota and Kansas City before being claimed by the White Sox off of waivers in 2011. Chicago’s pitching coach Don Cooper worked on adding a slider to his repertoire and they changed his mechanics slightly, improving Humber’s balance on his follow through. 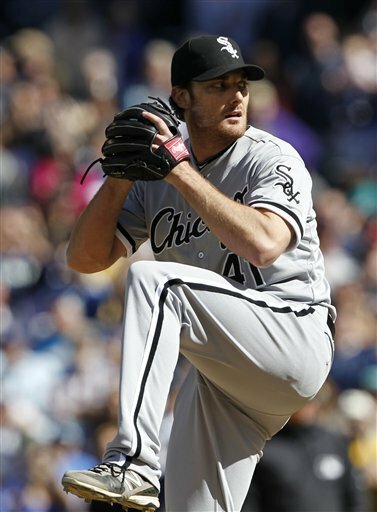 Humber posted a 112 ERA+ last year and was reliable for 163 total innings, his first sustained success in the majors. Humber was facing a team he figured to have some success against. The Mariners entered yesterday as the 2nd worst team in batting average and the 3rd worst in team OPS (an atrocious .285!!!). He got the first 3 hitters out and really found his groove in the 2nd inning, striking out the side. By the 3rd inning the White Sox offense had spotted him 3 runs, one run courtesy of a Paul Konerko home run, and he was officially rolling. Meanwhile baseball had begun in Boston, where the New York Yankees were visiting for Fenway Park’s 100th. Freddy Garcia was on the mound for the Yankees and continued his early season swoon, getting bombed for 5 runs on 7 hits in 1.2 innings of work. 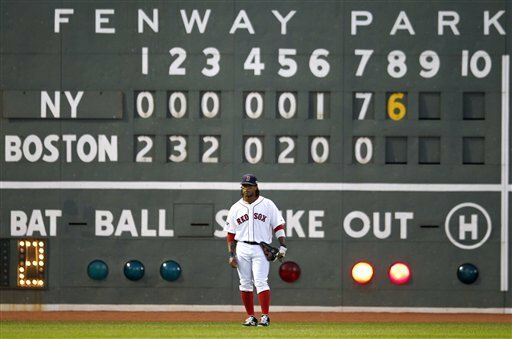 The Red Sox hit double after double off Garcia, playing a game of wall ball off of the Green Monster. After 3 innings the Yankees found themselves in a 7-0 hole. Felix Doubrant was on the mound for the Red Sox and he was baffling the Yankee hitters with an array of fastballs, sliders, and curves. By the 5th inning the Red Sox had gotten 2 more runs and the game was getting out of hand at 9-0. Doubrant finally gave up a run on a Mark Teixiera homer in the 6th and he was pulled after the inning, finishing with 4 hits allowed and 7 strikeouts. Back over in Seattle, Humber continued to dominate and was now entering the later innings of the game. By the 7th inning no Mariner had even threatened a base hit off of him. Humber primarily stuck to his fastball and curveball, mixing in the occasional 2-seamer or changeup or slider. He was locating his pitches all over the zone, keeping the Mariners putrid offense off-balance. In the 8th inning Brett Lillbridge came in to play left field, and only received one ball hit his direction. Humber’s 8th inning was another quick 11-pitch affair and he was off to the 9th, perfect game intact. Back in Boston, by the 7th inning the Yankees had finally gotten into the Red Sox bullpen, the worst in all of baseball. Vincente Padilla was the 1st up from the bullpen and was immediately carpet-bombed by New York’s offense. After striking out Andruw Jones, Padilla gave up 2 straight singles, walked Derek Jeter, and gave up a 1st pitch grand slam deep over the Monster to Nick Swisher. Bobby Valentine decided that 4 runs wasn’t enough out of Padilla, so he left him in to face Robinson Cano, who played wall ball in left field, rapping out a double. Matt Albers was the next to face the firing squad, and after Alex Rodriguez reached on an error by shortstop Mike Aviles, Mark Teixiera bombed his 2nd home run, a 3-run job. Franklin Morales would be the next to come in the game, and was able to end the inning. The comeback was officially on, the score now 9-8 in favor of the Red Sox. Back over to Boston, the comeback was about to be on again. Boston’s Franklin Morales was left in to begin the 8th, and he immediately gave up a leadoff single to the pesky Eduardo Nunez. Valentine decided to make an immediate change, and brought in his de facto closer Alfredo Aceves. Aceves pitched for the Yankees from 2008 to 2010, and was excellent in relief last year for Boston, holding the pitching staff together down the stretch, throwing 114 total innings. But his early returns this season have been rather ugly, and yesterday was no exception. Aceves immediately walked Jeter, which brought up Nick Swisher. Swisher, already with a grand slam to his name, hit an 84-mph change-up that caught too much off the plate to deep right field for a double, plating 2 runs and giving the Yankees the lead. Next, Valentine decided not to face the dangerous Robby Cano and put him on intentionally, bringing up Alex Rodriguez, who also worked a walk. The bases were now loaded for Mark Teixiera, who pummeled a ground-rule double to left, scoring 2 and giving the 1st baseman 6 RBI on the game. The Yankees now had the lead 12-9 all the way back from 9-0!!! The inning would continue to get uglier and uglier for Boston. Russell Martin doubled home 2 more runs and Jeter would single home another, bringing the score after 8 innings to 15-9, in the Yankees’ favor. Valentine was booed lustily every time he came out to discuss tactics or remove a pitcher. The Yankees would close out the 9th inning to take the 15-9 victory, dropping the Red Sox to a measily 4-10, last in the AL East. The 9-run comeback by the Yankees tied the largest in franchise history, and was the 3rd time that New York has pulled the trick on Boston. Coupled with Phil Humber’s perfect game, April 21st was baseball’s finest day so far in 2012, and one that won’t soon be forgotten. For more on Humber’s perfect game, check out these links from SI.com. Verducci’s take is especially interesting, as he looks at the game as a microcosm for the decline of offense around baseball.